Mastering the art of leadership is necessary for professional success in one’s field. In-depth assessments of one’s capabilities and potential as a leader have been well established, and Coach Dave is an expert at administering them. Through these leadership assessment tools, Coach Dave will analyze your strengths and weaknesses as a leader. Dave can also assess the type of energy you bring as a leader and explain how it impacts the performance of you and your team. Leadership assessment tools have been expertly crafted, and require someone of the same expertise to administer them. You can only trust the accuracy of a leadership assessment when it’s administered by a qualified professional. 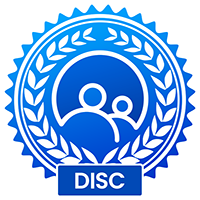 DISC Assessment – The world’s #1 behavioral profiling tool. This predicts “how” you will behave in a given role or situation. Likewise, it offers prescriptive lessons necessary to maximize the outcome of any interpersonal or workplace communication. 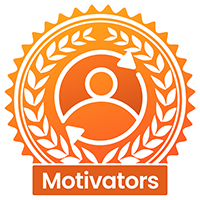 Motivators Assessment – Measures the seven universal dimensions of motivation that drive each of us. Predicts “why” you behave the way they do. Hartman Value Profile Assessment – Measures your problem solving skills and ability to avoid the blind-spots associated with situational bias. In the end, it measures critical thinking, judgment, and decision-making. Emotional Intelligence Assessment – Helps you understand the correlation between the way you apply your current EIQ and the outcome of your interactions with others. Learning Styles Assessment – Identifies your best means for learning and retaining information. 360 Assessment – Pulls perception data from colleagues, employees, and vendors, for a “self-audit” to eliminate workplace communications and improve client relationships. If you are a motivated and driven leader, then success IS an attainable goal. Let’s reach it together, starting today.